Jah Quest was born James Lester Turnquest Jr on August 10th 1982 in Nassau, Bahamas. James started singing from an early age.While attending Carlton E. Francis Primary School and S.C. McPherson Secondary School he would also be singing in the youth choir at his Church, influenced by his mother and grandmother. James always had a love for music and a talent for singing and he continued to sing in Chucrh and in Senior High he formed the singing group “Charisma”. Consequently, after a few years of performing in concerts, social events and school events, they called it quits after being offered a recording deal twice that some of the members did not feel comfortable accepting and they eventually went their separate ways. In 2004, James and a former member of Charisma, Brian Evans, decided to join their talents and formed a group called “JABE”. They released a single as a group entitled “Feelings Just The Same” that blazed the Bahamian radio stations. The song was produced by Ocean Music Studios before they relocated to the US. Again, this dynamic duo was offered a recording deal with Ocean Music which Brian refused for personal reasons. They returned home to New Providence and continued marketing their music locally with the expectation of being discovered by the ‘perfect’ record company, but shortly after, the group split. James was beginning to experience a change through the spiritual side of life, understanding his purpose for his life. He decided to gain a deeper relationship with the Lord, and as a result, his stage alias was transformed to “JahQuest” – quest being the last five letters in his surname (Turnquest). 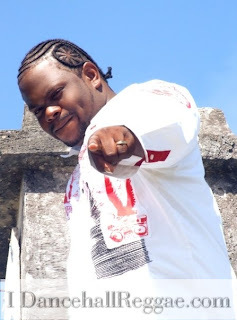 After a break from the music business James returned as Jah Quest in 2007 with the single “Serious Times”, a song addressing the rapid surge in murders and crime in the Bahamas. A few months later Jah Quest released a tribute song to his mother entitled “Mama” featuring Jah Levy. As an artiste Jah Quest looks up to producers Mr Lynx and Tracey Knowles and artistes such as Luciano, Morgan Heritage, Beres Hammond, Jagged Edge and Usher, who have contributed to his love for music. Jah Quest’s music is always positive and addresses issues people are faced with on a daily basis. His positive messages, personality and approach to life make Jah Quest an artiste to stand out and reach his fans and international audience with his music. The genre Jah Quest chose to express his spiritual, conscious and inspiring music and message is culture reggae. Jah Quest’s latest releases include the singles “Thank You Jah”, “I’ll Sing”, “Where Is Your Love” and “Our Love”.